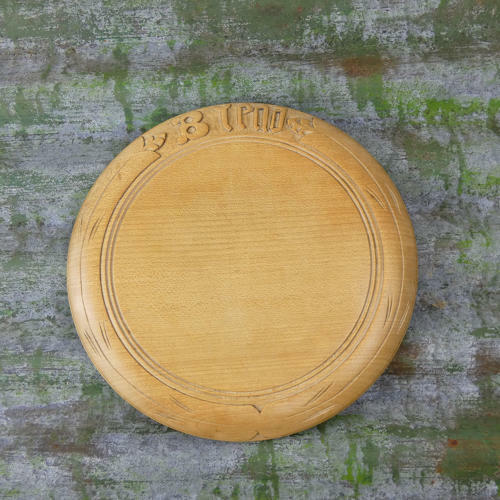 An early 20th century wooden breadboard. This board is fairly simple in form. It is carved, in beechwood, with the word ‘Bread’ and a simple, stylised border of long leaves. The lettering is interesting in that it is not well spaced. It looks like the carver started to carve the word and then realised that they needed to get more letters in than anticipated so the last three letters are squeezed in. It dates from c.1920 and it is in excellent condition. The wood has a good, rich patina.